Melfort RCMP responded to a stabbing in the city during the early hours of Jan 26. Police discovered an adult male had been assaulted and stabbed several times in his back and neck and suffered injuries to his face. He was subsequently taken to Melfort Union Hospital and then transported to Royal University Hospital; his injuries are not considered life-threatening. 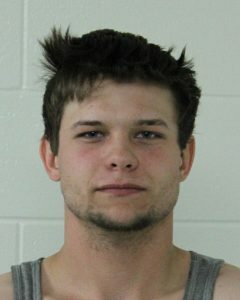 Police also believe the suspect, Triston Lundgren, a 22-year old male from the Melfort area also assaulted an adult female that was also at the residence. Lundgren fled the scene before officers arrived and his whereabouts are currently unknown. Lundgren is now wanted for a number of offences including aggravated assault, possession of a weapon for dangerous purpose, and break and enter in relation to this incident. Lundgren has ties all over Saskatchewan and is usually transient. Lundgren is described as 180 cm tall and weighs approximately 77 kg. He has brown hair and blue eyes. Lundgren has ties all over Saskatchewan and is usually transient.